There are 465 items matching your search. Egypt. Dated 1905/12/17. Alexandria cds on 109x72 mm 2m Sphinx and Pyramid miniature entire to Russia (b/s). Germany. Dated 1912/06/22. Darmstadt 22.6.12 Rhein-Main Flight official flight card (minor flaws) with 5pf Germania (postage) plus 10pf eagle (flight). Germany. Dated 1929/05/15. Friedrichsshafen cds ties 2m Zeppelin on North Atlantic flight to New York. Blue flight cachet and black NY August 5th cds. This was the interrupted round the world flight. 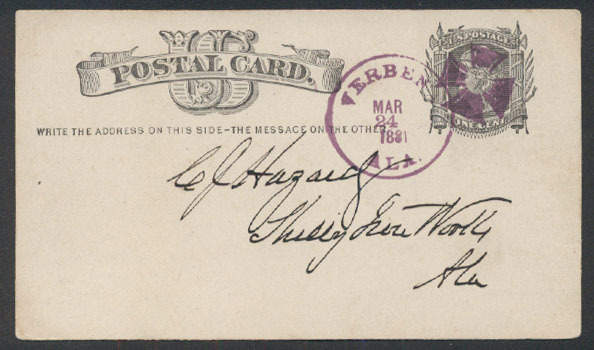 The red hand stamp reads "Delivery delayed due to cancellation of the first America trip" . Germany. Dated 1929/08/12. 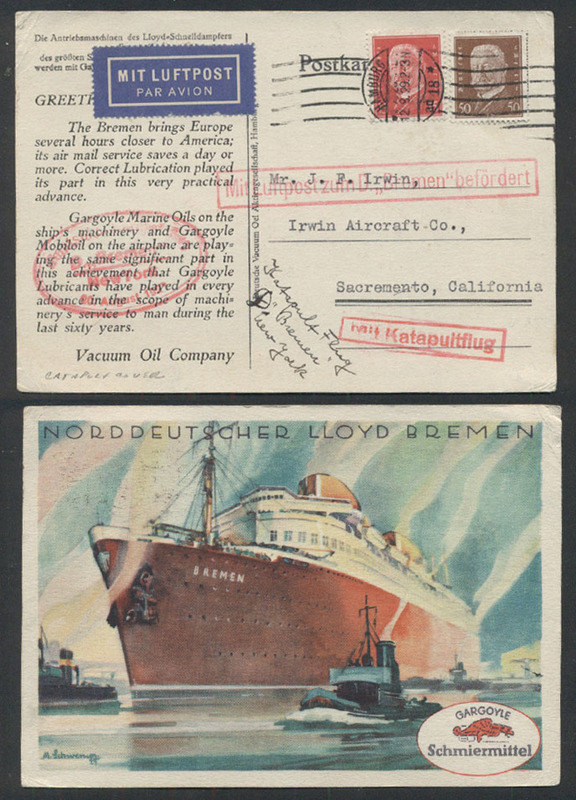 12.9.29 Hamburg machine ties 15pf & 50pf Hindenburg on post card to California. Flown by catapult to arrive a day earlier than the ship. Germany. Dated 1930/04/12. 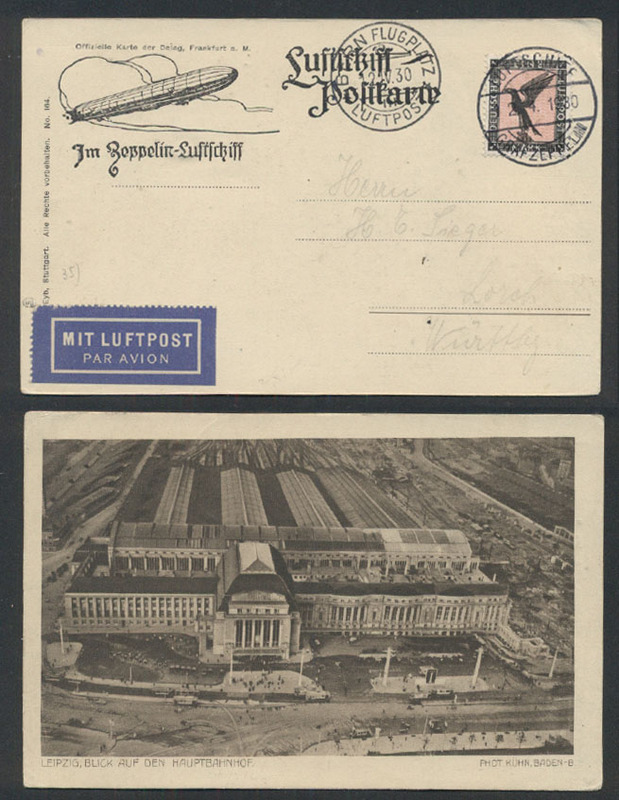 "Luftschiff Graf Zeppelin 12.4.30" cds ties 1m, Eagle (Scott #C32) on post card with "Bern Flugplatz Luftpost 12/IV.30" receiving cds . Germany. Dated 1936/04/25. 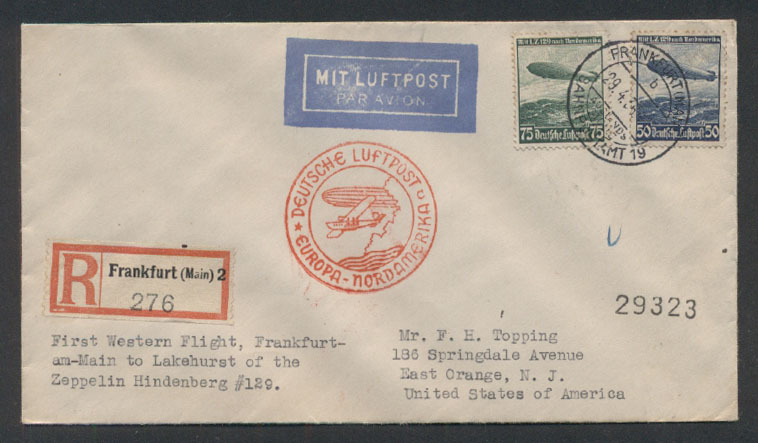 25.4.36 Hamburg red slogan and black cds tie 50pf Zeppelin on North American flight card. May 9th New York transit & May 11th Clifton, NJ duplex receiving cancel. Germany. Dated 1936/04/29. 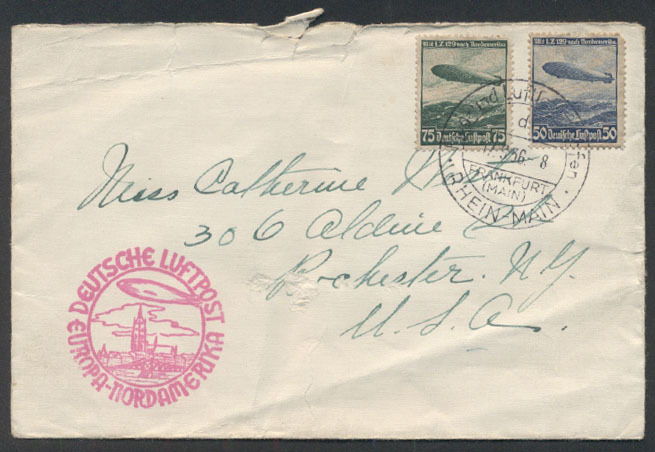 29.4.36CDS ties 50pf & 75pf Zeppelins on registered North American flight cover. May 9th NY transit & May 12th East Orange, NJ. registered cds on reverse. Germany. Dated 1936/07/16. 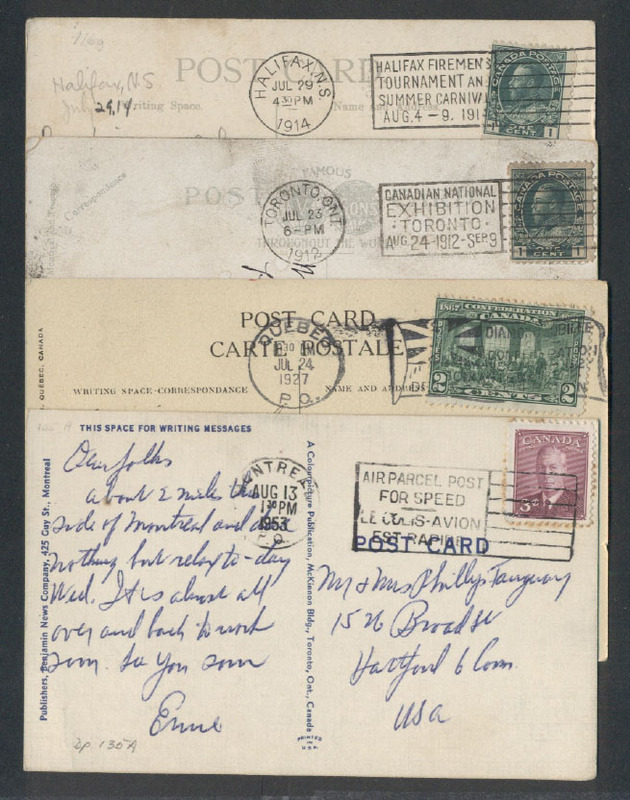 17.7.1936 cds ties 50pf Zeppelin & 15pf Eagle on North American flight card with real photo of a Zeppelin. Germany. Dated 1936/09/17. 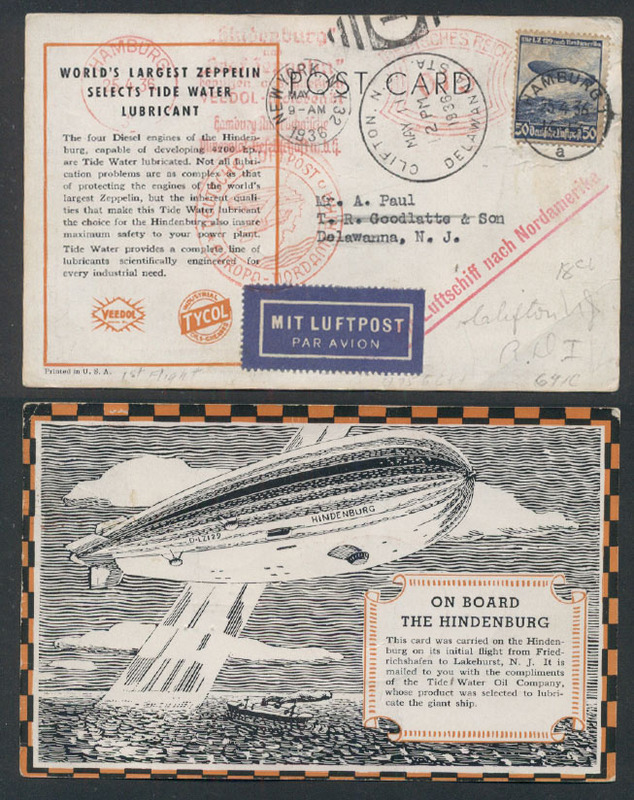 CDS ties 50pf & 75pf on Zeppelin North American flight cover (opening tears, paper bend). Germany Offices - China. Dated 1898/07/27. Shanghai cds ties 20pf Eagle (#4) on cover to New Haven, CT. 8/9 Vancouver transit, 8/14 New Haven rec'd pmks on reverse. Great Britain. 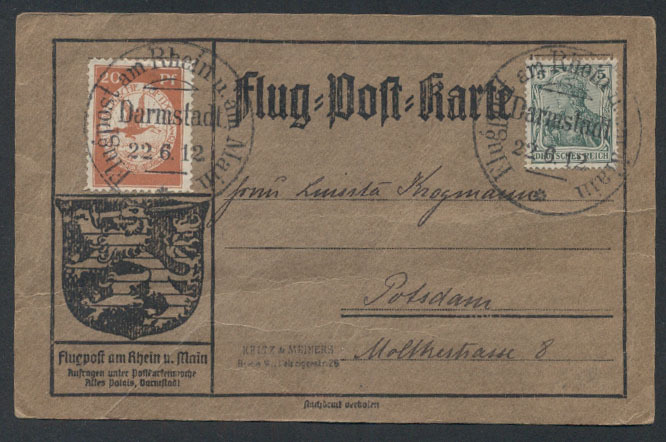 Dated 1911/09/13. 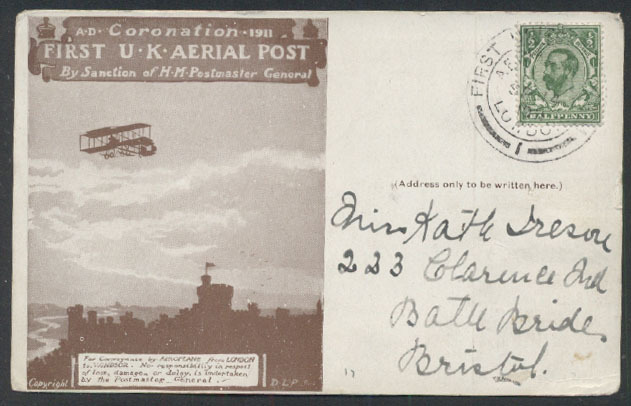 FIRST UNITED KINGDOM AERIAL POST LONDON cds ties 1/2p stamp on illustrated flight card to Birmingham. Great Britain. Dated 1911/09/14. 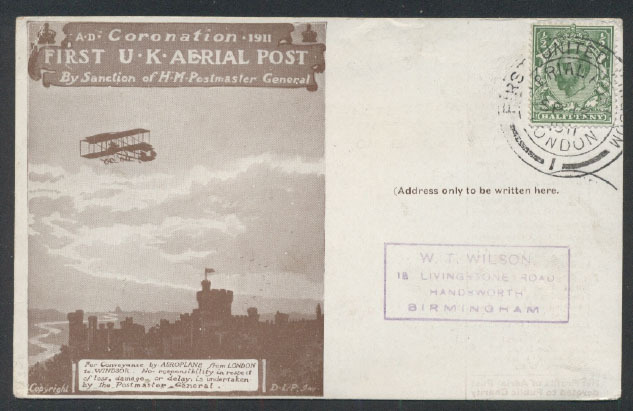 FIRST UNITED KINGDOM AERIAL POST LONDON cds ties 1/2p stamp on illustrated flight card to Birmingham. Hungary. Dated 1931/09/31. 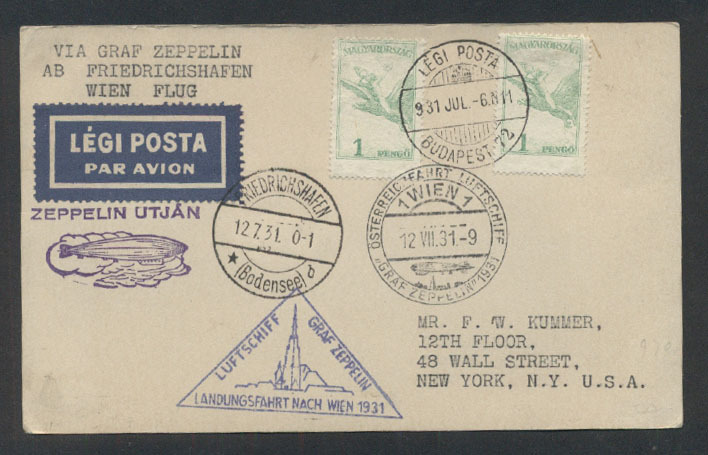 Budapest cds ties two 1p on Zeppelin card to New York..
Southern Rhodesia. Dated 1931/12/16. Bulawayo S. Rhodesia 16 Dec 1931 cds ties 1p (#17 & 5p (#22) on EXPERIMENTAL FLIGHT to England. 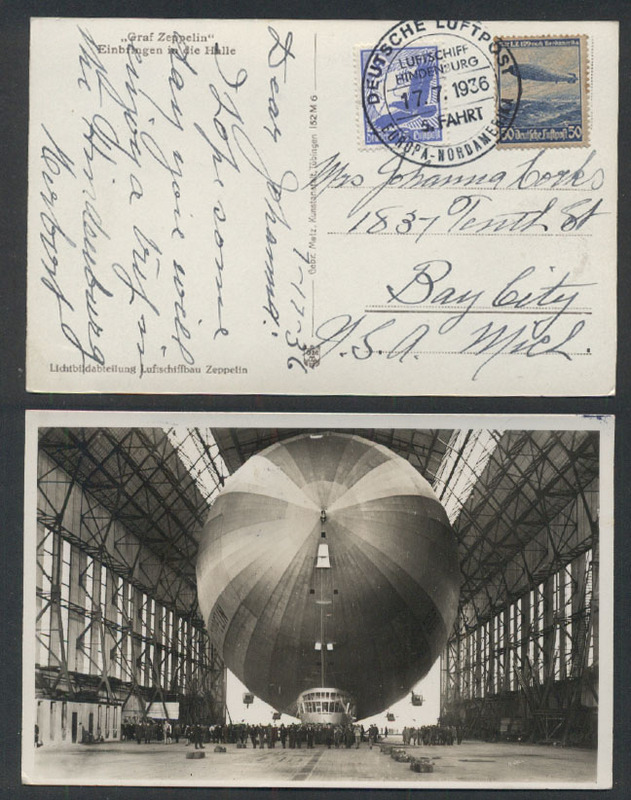 Manuscript "Bulawayo To Capetown" under Air Mail label & manuscript "By first steamer leaving Cape Town." 21 Dec Johannesburg 1:33 AM & Capetown 8 PM cds on reverse. United States. AL. Pruitton, AL. Lauderdale Co. (open 1883-1920). Dated 1886/02/26. 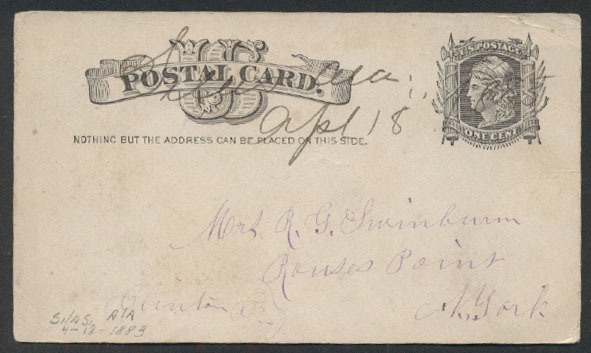 Ms town & date on 1c postal card. United States. AL. Silas, AL. Choctaw Co. (open 1881+). Dated 1883/04/18. 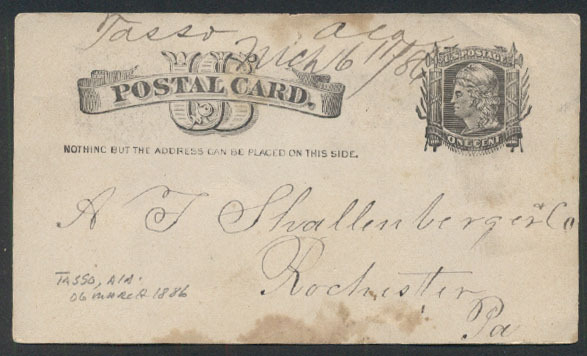 Ms town & date on 1c postal card. United States. AL. Skipperville, AL. Dale Co. (open 1853+). Dated 1884/03/27. 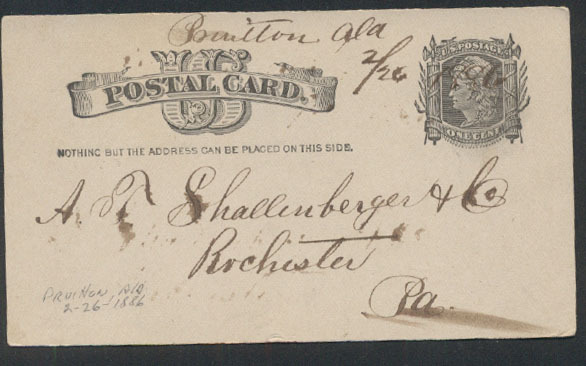 Ms town & date on 1c postal card. United States. AL. Tasso, AL. Dallas Co. (open 1883-1893). Dated 1886/03/06. 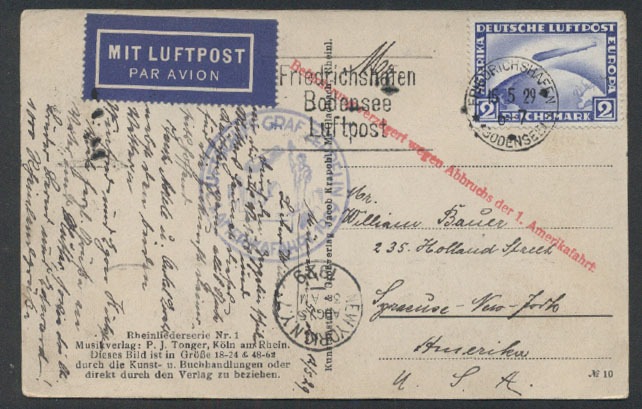 Ms town & date on 1c postal card. United States. AL. Verbena, AL. 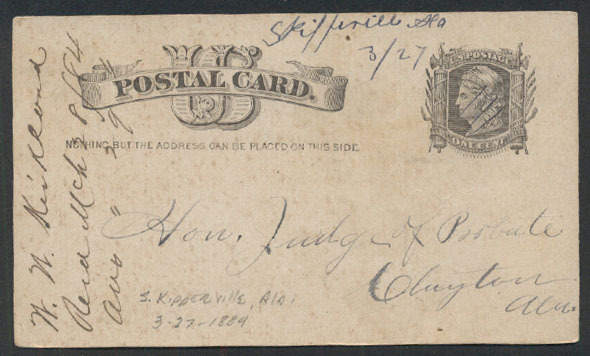 Chilton Co. (open 1871+). 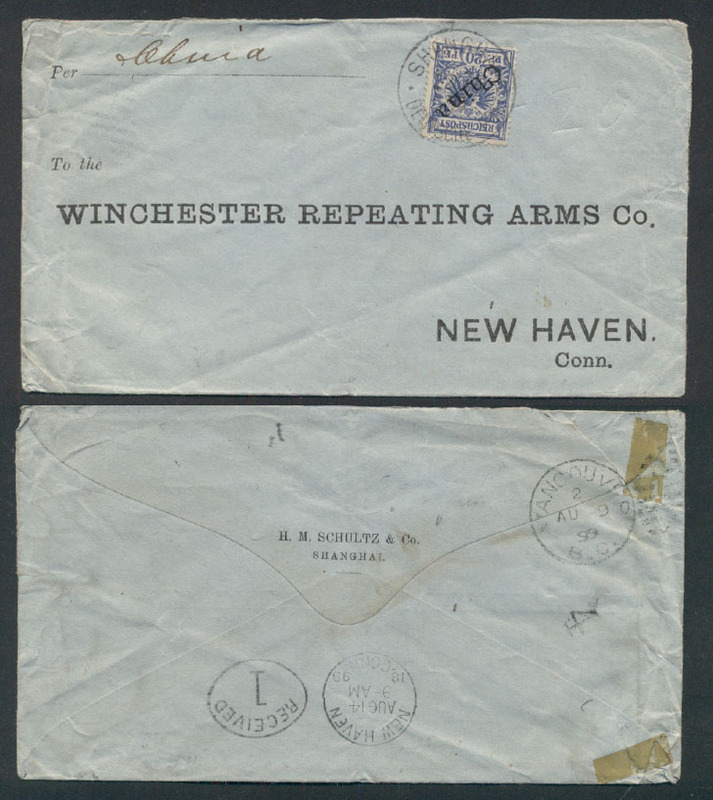 Dated 1881/03/24. 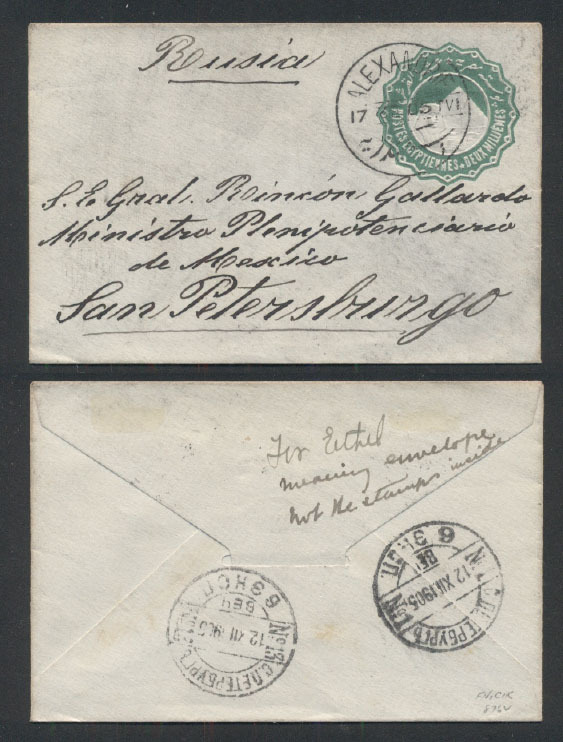 Magenta cds & fancy Maltese cross on 1c postal card.